The winners of the 2017 Golden Globe Awards have been announced in a star-studded ceremony in Beverly Hills. Musical comedy La La Land scored a record seven Golden Globe wins, receiving an award for every category it was nominated in. This included wins for Best Motion Picture (Musical or Comedy), Best Performance by an Actor in a Musical or Comedy (Ryan Gosling) and Best Performance by an Actress in a Musical or Comedy (Emma Stone), Best Director (Damien Chazelle) Best Original Screenplay, Best Original Song and Best Original Score. Elsewhere, Moonlight won Best Motion Picture (Drama) and Casey Affleck and Isabelle Huppert won Best Performance by an Actor and Actress in a Motion Picture (Drama) for their roles in Manchester By The Sea and Elle. In television, The Night Manager won big by grabbing the gongs for Best Actor in a Miniseries (Tom Hiddleston), Best Supporting Actor in a Miniseries (Hugh Laurie) and Best Supporting Actress (Olivia Colman). However, the John Le Carre adaptation failed to pick up the award for Best Miniseries, which instead went to The People v OJ Simpson: American Crime Story. Another big winner of the night was The Crown, which achieved Best Television Series (Drama) and a Best Actress in a Drama award for star Claire Foy. 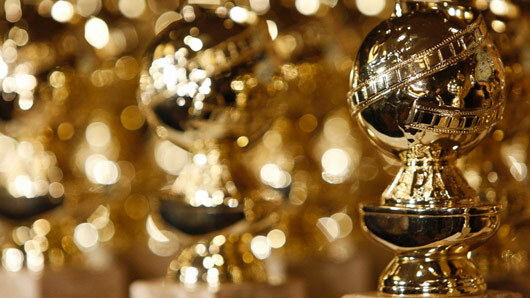 Last night saw the 73rd Golden Globe Awards take part at Beverly Hills’ Beverly Hilton. As per usual the ceremony was a dazzling affair, awarding a mixed bag of film and television industry figures for their outstanding work over the past year. Where some of the winners were clear frontrunners from the offset (The Revenant, Brie Larson, Oscar Isaac), others completely took us by surprise (The Martian, Stallone…), and a number of nominees were snubbed the awards which were rightfully theirs (Carol, Michael Shannon, Master of None). Anyway, enough of what we think. Here’s the full list of categories, with last night’s winners noted in red. Catch up on all the Golden Globes red carpet arrivals today at 4pm on E! Ah, nominations season! A time to judge whether our tastes and opinions match up with the entertainment powers at be, and thereby count for something. This year’s Golden Globe nominations, announced this week, haven’t exactly been full of surprises. As suspected, Todd Haynes’s masterpiece Carol is the best represented feature film, nominated in four categories including not one, but two nominations for Best Actress. Other obvious choices The Big Short, The Revenant and Steve Jobs follow close behind in the feature film stakes, while the television nominations leave us a little disappointed. Although undisputed crowd pleasers such as Empire, Game of Thrones and Narcos are well represented, 2015 boasted plenty of smart new shows such as Show Me A Hero, Bloodline, and Marvel’s Daredevil and Jessica Jones, which have either been overlooked completely, or have received but mere nods from the HFPA this year in favour of cheesy commercial programming (not naming any names…). Nevertheless, here’s the full rundown of those titles and stars that did make the cut this year, plus our picks to win, and those we wish were nominated. Find out the winners of each category when the 2016 film-and-TV fete takes place on January 10th.